Wahoo! It’s here! 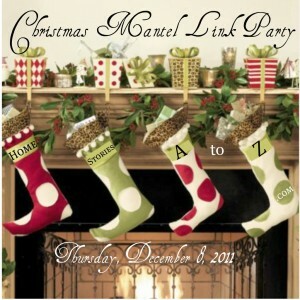 I look forward to this mantel link party the MOST out of all of my link parties. And here is some definite incentive to link up: BHG.com has gathered more mantels for their online articles from Home Stories A to Z than from any other blog. It’s true! You never know who is watching or where your mantel could be featured so be sure to link up. Please link back to me in your post with a text link or manually link the button below so others can join in the fun! And now let’s see those gorgeous mantels! Looove your blog. Wishing you and yours a Happy Christmas and Glad New Year, too! Your mantel is just beautiful! Thank you so much for hosting! I love your mantel! Such cute stockings. Thanks for hosting. I always look forward to your annual mantel party as well, my friend! Thank you for hosting! Well dear lady, your mantel is beautiful! I love how you used the beautifully framed chalk board above the mantel. The three wreaths and wording…gorgeous! Ohhh…and your Christmas stockings are lovely! Thank you for sharing your beautiful Christmas mantel with us! I spend HOURS browsing your mantel parties Beth. It’s my favorite party ever. So glad you are doing it again this year. Sorry it took me so long to link up!! I had a birthday party today I had to get done with. I love your mantel!! Beth, your mantel looks great!! Thanks so much for hosting! Happy Holidays to you!! There are so many beautiful Christmas mantels! Thank you for hosting the party again this year, Beth! Hi Beth well I goofed! I wanted to link up my holiday mantle but somehow the pic I used brings you to my Halloween mantle and not my current one. Any suggestions? Love the chalkboard and wreaths. yay! thanks so much for hosting. love the words written inside the wreaths, super smart! Simple elegance! Your mantel is beautiful. Thanks for hosting a fabulous party! Your mantel is so pretty, warm and cozy!!! It will make for a great christmas morning! 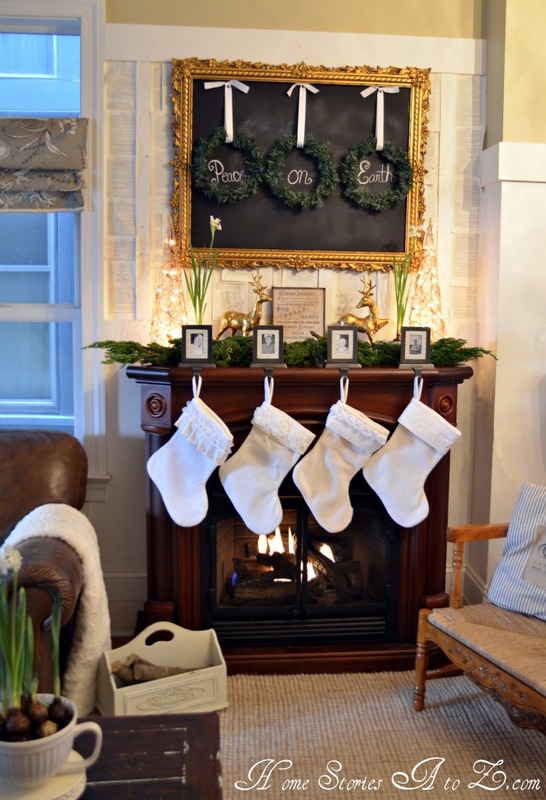 I also love the chalkboard and wreaths – your mantle is very inspiring! Even your mantle link party button is really cute! Thanks for hosting. I love the chalkboard with the wreaths so very cute!!! Wow! 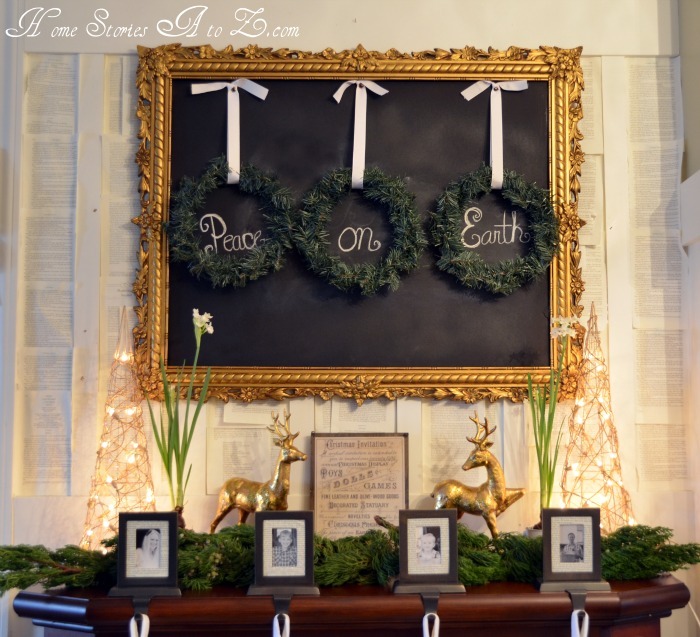 I love your mantel and the wreaths and chalkboard…beautiful blog! Thanks for hosting…I’m a newbie! Thanks so much for hosting, Beth. It’s so fun seeing so much inspiration at these parties! I love how you used the framed chalkboard that you made for your bedroom as the centerpiece for your mantle. Adding the words and three wreaths is such a unique idea. Thanks for hosting the party. It is 8:45 pm Wednesday, and I am post #89! This link up party is hoppin! Thanks for hosting! Once again, love your mantel…and so much more inspiration to check out! Thanks for hosting, girlfriend! I’m mostly thankful this party falls this week. I needed a push to finish mine up this year! I can’t wait to get new ideas for next year! here it is!!! the place & party that started the whole mantel phenomenon! your mantel looks beautiful & your home looks so cozy. thanks for hosting, beth! happy holidays. big hug. Your mantel is darling! Thanks for hosting. Beth, your mantel looks beautiful. I love the light stockings against the dark wood of the fireplace surround. Thanks for hosting! I adore your stocking holders. Love the whole thing. Thanks for hosting! thank you thank you thank you for hosting!! Can’t wait to see all the gawgeousness linked up tonight. Mine is #19 (white and thrifted) Hope you’re having a great night! Hi Beth, I love your mantel and the chalkboard is fabulous!! Thanks for hosting. Beth your mantel is so lovely! I LOVE the framed chalkboard with the wreaths and your stockings are fabulous! Thank you so much Beth for hosting the party, we appreciate the opportunity to show off our Christmas decorating! Beth, your mantel looks beautiful–as it does for every season. Thank you so much for hosting! This is sure to be a wonderful party! Thank you for hosting! 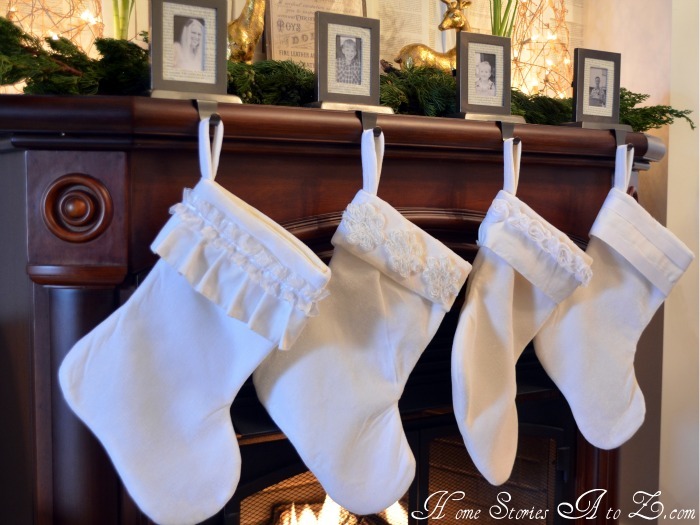 I can’t wait to see all the inspiring, festive mantels!